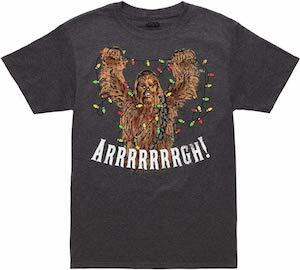 Now there is the perfect shirt for decorating the tree because this is a Star Wars Chewbacca Christmas Lights T-Shirt. 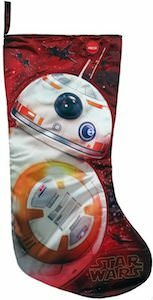 You can get this Star Wars holiday t-shirt in sizes Small – 3XL and it works on both men and women. On the t-shirt you can see Chewbacca with a whole lots of entangled Christmas lights in his hands and he makes the sound that most of us make when dealing with these holiday lights and that sounds is “Arrrrrrgh!”. It is just a fun t-shirt to wear around Christmas as it will make people smile and that brings more of a holiday spirit to everyone.